Dimension: Rolls of 100 metres with a width of 1.10 metres. 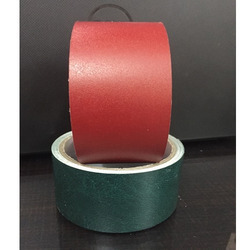 Bitumen Coated Paper for making it Water proof for various Civil and Military Applications. Available in various thicknesses of base paper and in various thicknesses of bitumen coatings. up to 4800/5760dpi and is compatible with any inkjet printer. We are recognized in the market by offering quality assured gamut of Imported Coated Papers such as Art Paper/Board, PE coated paper, Cast coated paper, Mirror coated paper. Surface characteristics of coated paper play a vital role in paper and print quality. Today, paper products must be designed with optimum surface properties to meet increasing performance requirements. Technological advances require new, more cost-effective, and environmentally friendly products. Our organization deals in offering the clients with an extensive range of C2S Coated Art Paper. 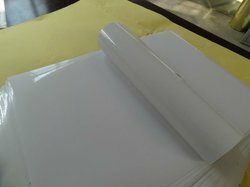 Kindly find below various applications of C2S Coated Art Paper. Our company offers Mirror Coated paper that is available in mirror coat or cast coated finishes. These are offered in sheets and reels ranging from 80 GSM - 100 GSM, These are available in various sizes and can be customized as per the specifications of our clients. This paper is coated on both sides with China Clay. Both sides are equally glossy. Mostly used where high quality printing is done on both sides. Available from 90 GSM to 270 GSM in thickness. Customer has choice of buying in reels or sheets. Used extensively in magazines, brochures, calendars, annual reports, catalogues, etc. LustrePrint constitutes an unending palette of pearlescent colors with an array of special effects.